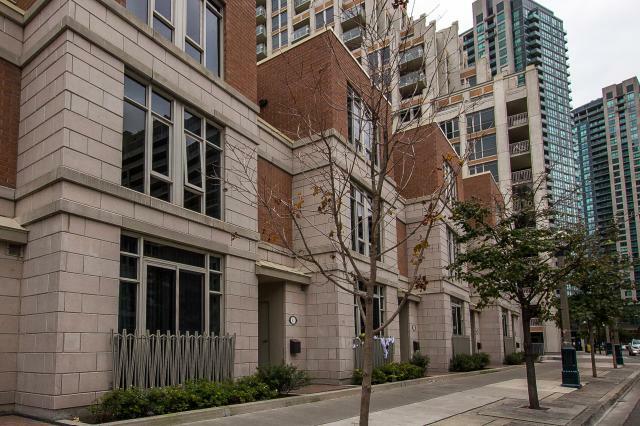 Gorgeous Executive Townhome in One Of Downtown Toronto's Highly Sought After Neighbourhoods. Beautiful Upgrades Throughout. Kitchen W/ Granite Counters, SS Appliances & Wine Fridge. 2nd Level Walkout To Terrace, 2 Large Bedrooms & 4 Piece Bath. Private Master Retreat On 3rd Floor With 2 Walk-In Closets, 4 Pc Ensuite, Sitting Area & Balcony. 2 Parking Spots - Rare Private Garage. Steps To The Lake, Trails, Restaurants & More. Easy Access to Highways. Want to learn more about 87 Sloping Sky Mews Th 4 (Lakeshore & Bathurst)? I would like to learn more about 87 Sloping Sky Mews Th 4 (Lakeshore & Bathurst).